Soo every single day.. whenever we hv our iftar at home.. hb wud gladly volunteer to be my delivery boy kahkahkah.. ty Am flora for the wonderful recipe.. hb loves it! 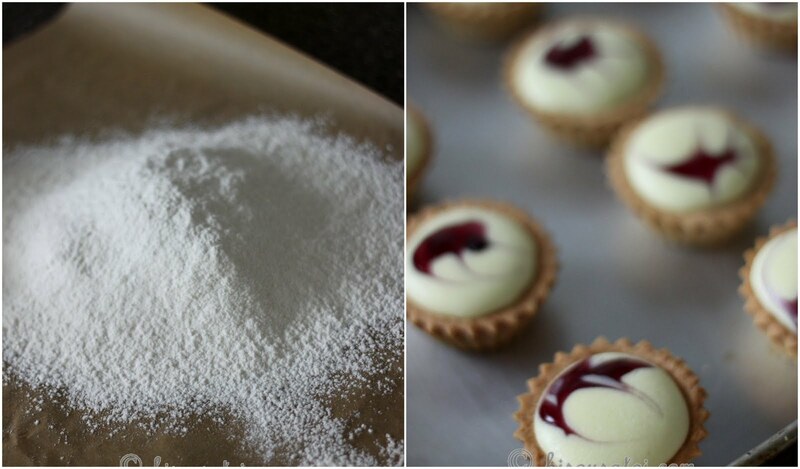 Pipe in a little bit of blueberry fillings and then pipe in cream cheese. Do whatever pattern u like on ur cream cheese filling and continue to bake for about 5 minutes. The bottom line is if u can wait for their annual sale this KA will only cost u $549 ( if u tak cerewet with whatever colour they offer) if not try to ho to Mayer n adk for discount if not u go to this shop kat chinatown.. Next to that famous kuil Selling kitchen stuff.. Situ paling murah that KA but not to sure if they sell other attachments .. If not get kenwood.. My 20yrs old mixer is kenwood chef.. But old model overseas mari.. New kenwood local mari n different.. Kenwood u pi mustaffa also hv.. Cheaper i think..
No worries dear.. lots of infor cos i selalu suka survey survey even tho i hv no intention to buy but after much persuasion kahkahkah i got myself that KA instead cos of the good reviews..
Ahhhh... Tis one i like... I noe you have reserved 1 tupperware for me.... DUN jealous everybody... Muacks, Li-Lin. okie dokie. bersemangat nih nak cuba. akan ku beli blueberry pie filling nanti. thanks for the kata2 semangat ek. btw, weekend aritu buat cat tounges. my kids tak berenti mengunyah. thanks for the recepi ya. 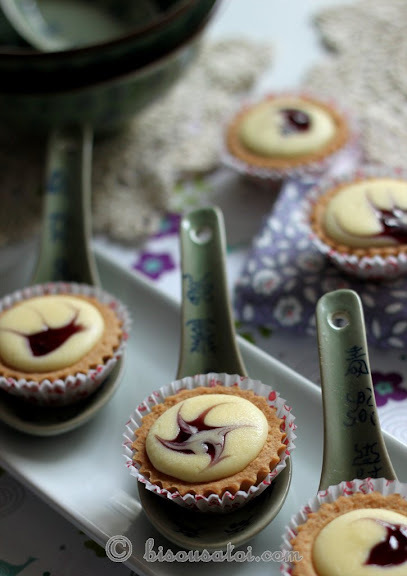 I Love Portughese Egg tarts as well as cheese cake but not cheese tart. I dont know why? Would like to ask U how make toppings on the lemon cheese cake just like the one sell at Secret Receipe. I've searched b4 still unsuccessfull. Near my place, sometimes I can get 500gram Kraft Philadelphia cheese bar at RM6.50 each atBest Baking Solution. other brand also around that price. 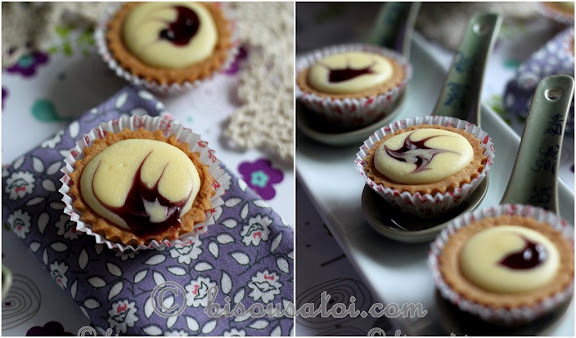 I google pic of secret recipe lemon cheesecake.. i think the topping is just lemon curd kan?? Baru nak jawab your Q re: price of 500g cream cheese. I bought Tatura n if I'm not mistaken it costs RM11+. About Secret Recipe, I prefer La Manila anytime (setahu I diorang xde branch merata2 alam. I just know one at Taman Megah, PJ). Wahh Cik Su.. La manila lagi hehe.. I dont even know benda ape tu.. Nampak sah ku kadang2 jarang2 (pramlee lagiiii) gi secret recipe ..
Tatura no have here.. Kalau nak murah kat sini jual in 1 kg but anchor brand.. Belasan dollar i think..
Cik Su or CikSom? hehehe..
La Manila is a bakery. Its owner is a Filipino. What is the size of the tart mould dan boleh kongsi recipe blueberry filling? 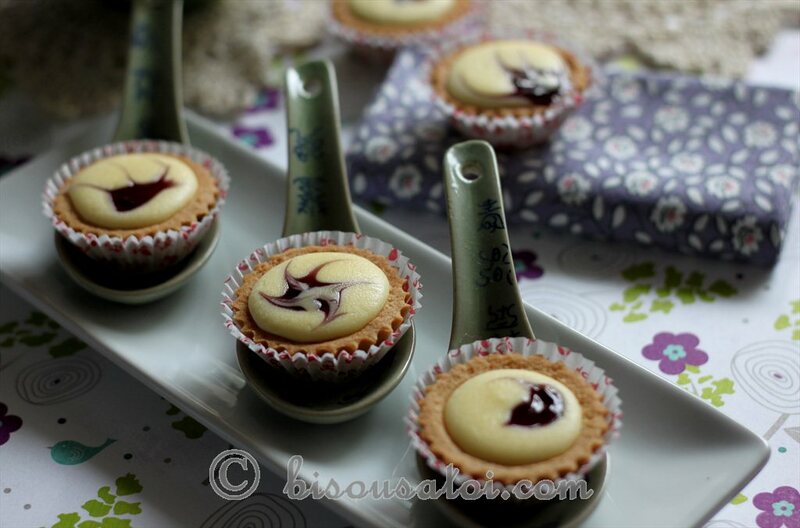 Berapa banyak tartlets will this recipe make? I'm sold and will have them for iftar hujung minggu ini. P/S: I love all your tablewares. Alas, mine are usually hidden kerana jarang bake sejak sendirian di luar negeri. The blueberry filling comes in a can.. its meant for blueberry pie fillings.. how many tartlets i tak pasti cos i didnt count but i will let u know later when i bake it for Eid.. size also I tak pasti.. took yg medium size aje..
Where are u at E?? Did Mr. Rima bought you the pasta maker in the end? I hv that attachment....sungguh berguna sebab I like to make...... mee kuning! So mine is called Mee kuning maker LOL. Not yet lah dear.. we plan to get it in march during their warehouse sale.. sure murah giler.. so till then i masih beli fresh pasta fm supermarket aje..
Can i ask-how to keep the crust crunchy? The next day mine dah lembik...I stored in air tight tupperware at room temp. I'm ur new follower and to be exact, since this yr only but I've already tried 3 of ur recipes & they all turned great!!! I'm officially hooked to ur blog! Anyway, can I ask how many pcs of these tarts can u get from this recipe? Have a great wkend!